Woohoo we’re back with a new #stylecuratorchallenge and we have a feeling you are going to LOVE this one! This month, we want you to style and show us your office / creative workspace! 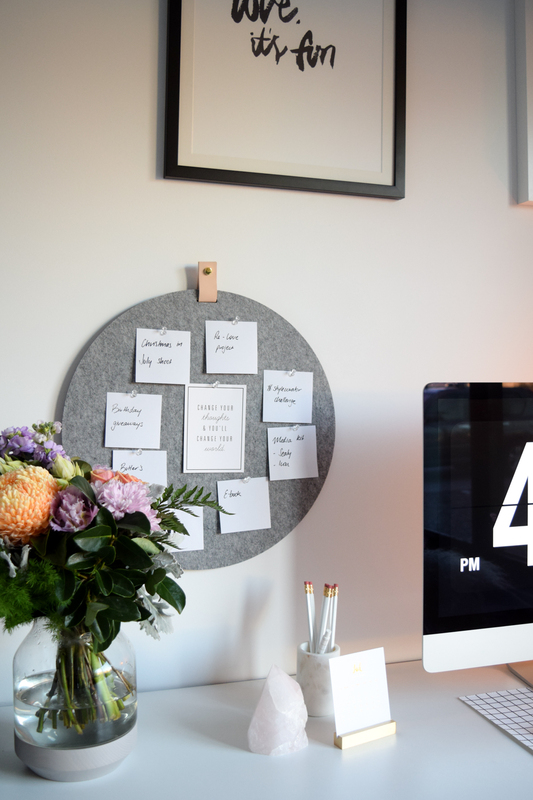 Not only is this a super fun area of the home to style, you’ll love yourself for joining in the challenge and creating a space where you can be more productive too. This month, we’re partnering with the seriously divine Interior Motives. Run by Amanda, a mother of two in Tasmania, she is a lover of all things interiors and has created a stunning shop of handmade pieces to add a mega hit of style to your home. By joining in this month’s challenge, you could win a trio of her felt and leather pinboards in small, medium and large sizes, valued at $185. 1. Style your creative workspace. 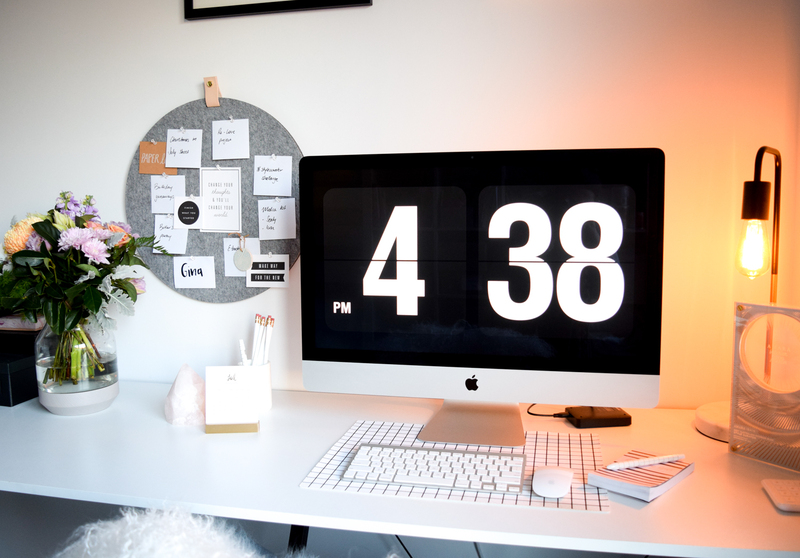 See all our office styling inspo here, including how to declutter your workspace and how to style a black and white office on a budget here. 3. Upload your photo to social media. Be sure to include in the photo caption the #stylecuratorchallenge hashtag and our handle @stylecuratorau as well as Interior Motives @interiormotivesaus (it’s also a good idea to tag us on the pic so we definitely see it now that Instagram is shadow banning some accounts!). We will be checking Facebook, Instagram, Twitter and even Google+. 4. Show some love. Check out the photos other people have uploaded of their home by following the #stylecuratorchallenge hashtag. Like, comment and encourage each other along. 5. Tell your friends about the challenge. The more people who play along, the more fun this is going to be! You can ‘share’ this page to any social media site or email it to a friend. As menitoned above, the winner of this month’s challenge will take home a trio of felt and leather pinboards from Interior Motives. Each pinbaord comes with a genuine leather tab to attach to the wall. Valued at $185, this is a prize you don’t want to miss!! *Terms: image must be uploaded to social media between 1 – 31 July 2017, including the #stylecuratorchallenge hashtag and tagging both Style Curator and Interior Motives. Only Australian residents are eligible to win the prize but everyone is welcome to join in the challenge. We will select our favourite image by 7 August 2017 and the winner will be announced on the blog. We can’t wait to see your office styling!! Don’t wait, join in today!